Desert Foothills Air Conditioning & Heating Inc is proud to serve the North Scottsdale community! 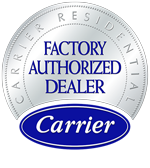 About North Scottsdale, AZ - Happy to be your hometown Heating & Air Conditioning Contractor! 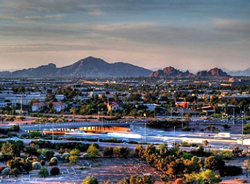 North Scottsdale is the most actively developed area in the city of Scottsdale, AZ. Scottsdale is located within the eastern portion of Maricopa County, and the population of the city in 2010 was 217,385. This city is bordered by Phoenix, Tempe, Carefree, and Fountain Hills. North Scottsdale is home to some of the most expensive homes in the United States, and much of the residential boom that this city has noticed is due to the Scottsdale Air Park. The Air Park serves as the second largest employment area in the city. The climate of this city is arid with extremely hot summers and very mild winters. There are a variety of attractions available in the North Scottsdale area. The Grayhawk Golf Club is located in this area, as are MacDonald’s Ranch and AZ on the Rocks Indoor Climbing. Other popular Scottsdale attractions’ include McDowell Sonoran Preserve, Taliesin Wist, and Troon North Golf Club.